Guillaume Dufay (5 August, ca. 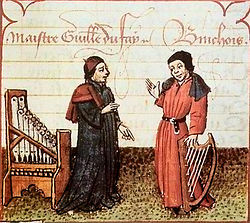 1397 – 27 November 1474) was a Franco-Flemish composer of the early Renaissance. The central figure in the Burgundian School, he was regarded by his contemporaries as the leading composer in Europe in the mid-15th century. We can’t be 100% certain about birth dates from the 15th century, even the year of birth is questionable for most, but August 5th is what is usually given for Guillaume Dufay’s date of birth. 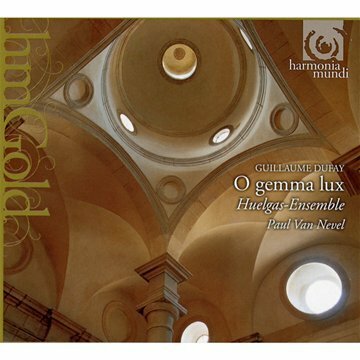 One of the most important early composers, his music is captured on dozens of recordings, of which this one is one of my favorites: O gemma lux – Isorhythmic Motets by the Huelgas Ensemble. An isorhythmic motet is a form which was used during the 15th century and employs a rhythmic motive, or series, that repeats with different melodic notes throughout the piece. This form has been studied and used by 20th century serial composers.